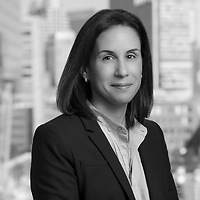 Robyn S. Maguire, a partner in Nutter’s Litigation Department and a member of the firm’s Product Liability and Toxic Tort Litigation and Business Litigation practice groups, authored an article in MD+DI’s blog, DeviceTalk, about a recent court ruling from California which strengthens the hand of medtech manufacturers against plaintiffs who might seek to argue they were injured because companies didn't properly train surgeons. In the article, “’Failure to Train’ Not a Basis for Suing Medtech Firms,” Robyn discusses how the decision in Glennen v. Allergan is significant because the field of available product liability claims against Class III manufacturers has narrowed considerably since 2008, when the United States Supreme Court held that lawsuits challenging the safety and efficacy of devices approved by FDA are federally preempted. She notes that a lawsuit premised on a “failure to train” boils down to allegations that the company neglected its duty to provide physicians with important safety information about the device—the same elements of a so-called “failure-to-warn” claim. But because FDA’s premarket approval process encompasses a review of device labeling and other warnings, those claims, whether couched as “failure to warn” or “failure to train” are, as the Glennen case confirms, preempted. Robyn points out that Glennen confirms that a manufacturer’s training, or the provision of information concerning how to use a Class III medical device, is protected under the doctrine of federal preemption, just as true failure-to-warn claims should be. According to Robyn, regardless of how they are alleged, failure to train claims appear to be off-limits in product liability lawsuits.